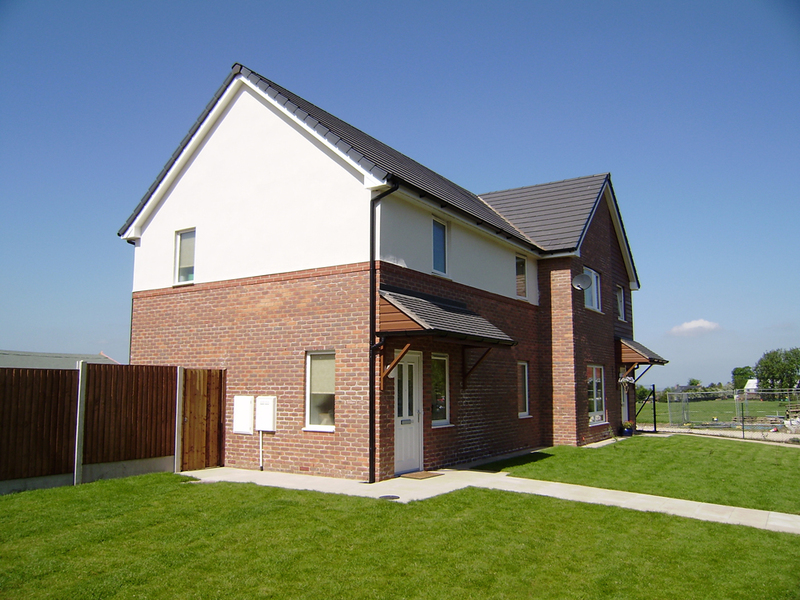 A development of 14 semi detached houses on the fringe of an established village in rural Cheshire. Obtaining planning approval in this location proved to be protracted and difficult. 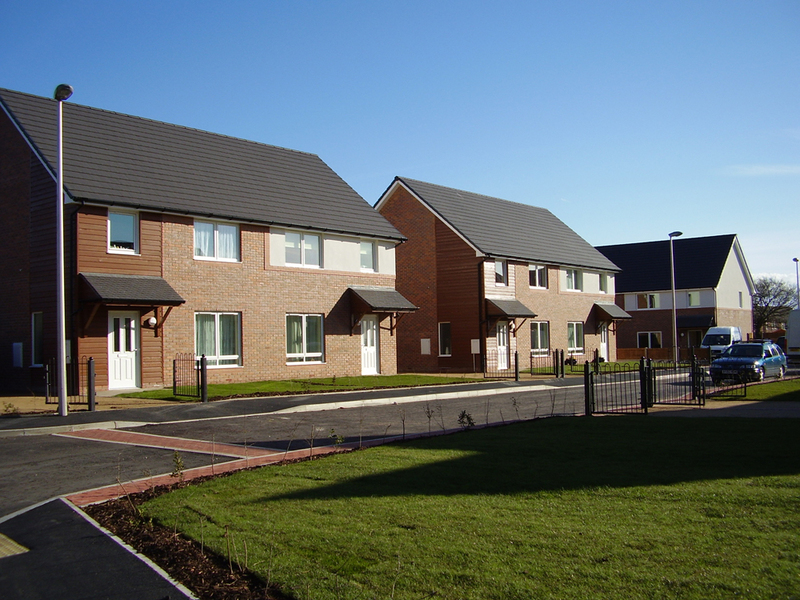 The houses developed by Arena Housing Association are for a mixture of outright sale, shared ownership and for rent. 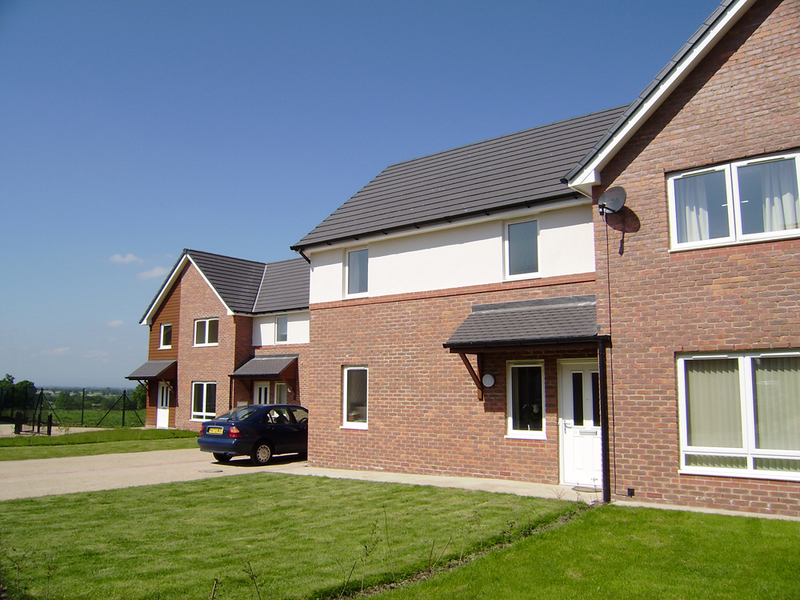 Tenancy and purchasing was limited to local people in need of low costhousing. The materials and detailing were chosen to reflect the local vernacular and boundaries are formed by native hedge planting.